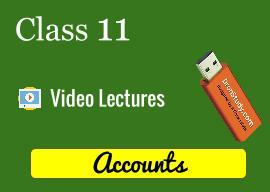 - Meaning and Analysis of transactions using Accounting Equation. - For Assets, for Liabilities, for Capital, for Revenue, and for Expense. - Meaning, Need and Preparation with amended cash book. - Trial Balance: Meaning, Objectives and Preparation. - Depreciation: Meaning and Need for charging depreciation, Factors affecting depreciation, Methods of depreciation-Straight Line method, Written Down Value Method (excluding the change in method), Method of recording depreciation: By charging to the asset account, By creating the provision for depreciation/accumulated depreciation account. Asset Disposal Account. -Bills of Exchange and Promissory Note: Definition, Features, Parties, Specimen, Distinction. what about the adjustments in financial statements 2? please upload a full video! AWESOME!!!! thankyou so much for this lecture,making us able to understand everything.